Our longtime board member and past president Ron Yoshida passed away recently. Below is an obituary published in the Rafu Shimpo. We extend our heartfelt love and gratitude to his family. Ronald Yutaka “Tubby” Yoshida passed away peacefully on November 20th. He was 90 years old. Born to Albert and Tokuko on October 11, 1927 in San Francisco, CA, Tubby was the youngest of four children. Tubby earned his nickname from his rotund shape as toddler. He graduated from high school in the Topaz (Utah) Internment Camp for Japanese Americans during WWII. After a year at UC Berkeley, he was drafted into the US Army and joined the first class of the Military Intelligence Service (MIS) language school in Monterey, CA. He was deployed in Tokyo and Kyoto as a translator for the occupational government. After discharge, Tubby went to MIT and graduated in 1952 with a BS in Mechanical Engineering; subsequently receiving a Master’s from UCLA. With his first wife, Yoshie, they had Ronnie. Unfortunately, she passed away prematurely. At Marquardt Corporation he designed control systems for jet engines, including thrusters for the Apollo moon landing program. He then had a 23-year career at Cal Tech’s Jet Propulsion Laboratory (JPL), where he designed and developed control systems for the Viking Mars expedition and other spacecraft, and also worked on one of the first electric car prototypes. Tubby received a NASA Exceptional Service Medal in 1993. In 2011, he was awarded the Congressional Gold Medal for his service in the MIS. Tubby had a passion for woodworking and crafted beautiful furniture for his home. He traveled extensively in Europe, Asia and the Middle East, and loved watching the 49ers and the Bruins. 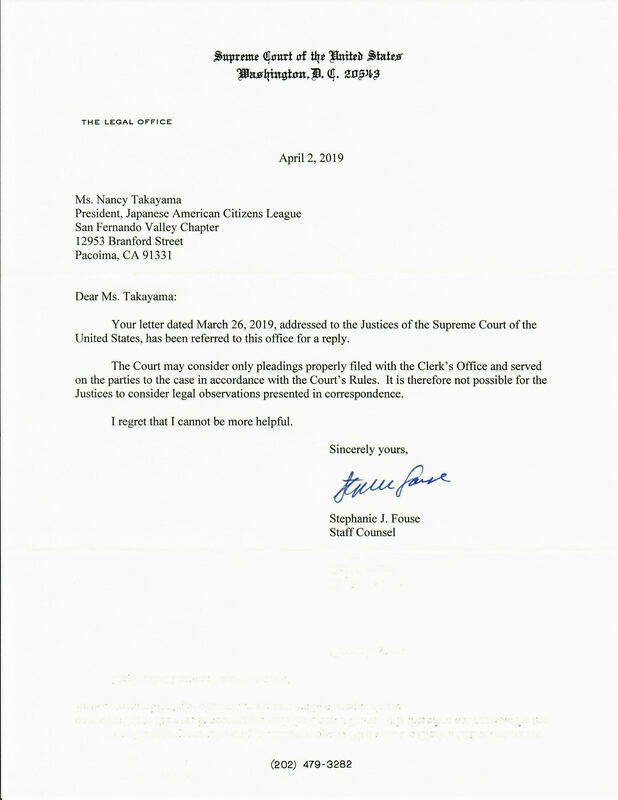 He was very active member of the Japanese American Citizen League (JACL) and served as president of the San Fernando Valley chapter in 1972. Tubby is survived by his wife, Miye, three children Ron (Kelly), Douglas (Jennifer Huang), and Karen Leib (Paul). His five grandchildren brought him the most joy – Kylie, Cory, Shelby, Graham, and Shaun. He was a dedicated and loving father and grandfather. Congratulations Jennifer Kajiki, Sakaguchi Scholarship Winner! 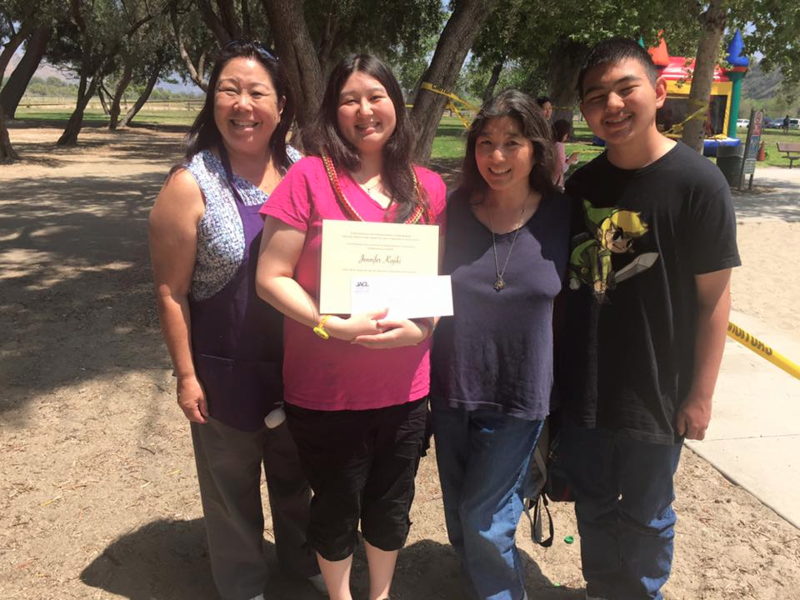 The SFVJACL Scholarship Committee is pleased to award Ms. Jennifer Kajiki the 2016 Dr. Sanbo and Mrs. Kay Sakaguchi College Scholarship. Jennifer is a Dean's List student at Moreno Valley College and will graduate with a degree in nursing in Fall 2017. 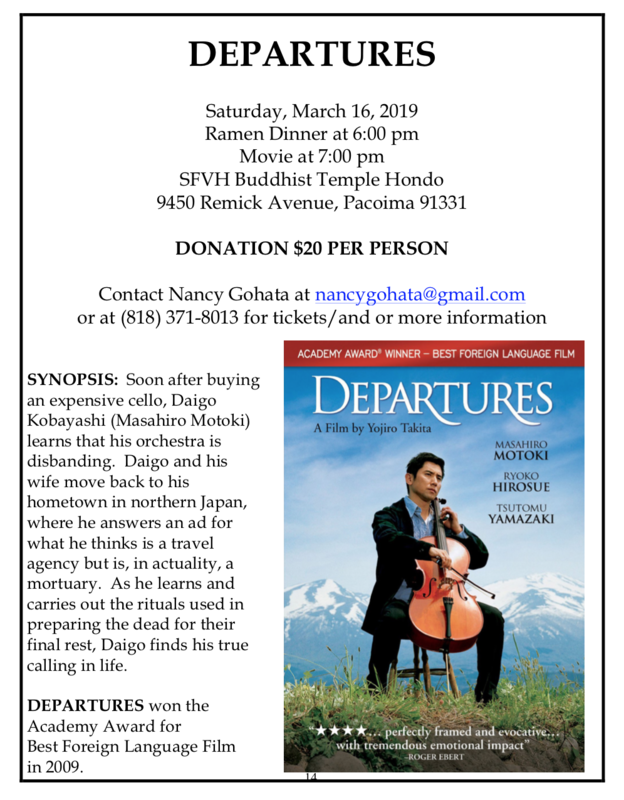 She is an active member of the San Fernando Valley Hongwanji Buddhist Temple and is a Youth Minister's Assistant to the Reverend Patricia Usuki. 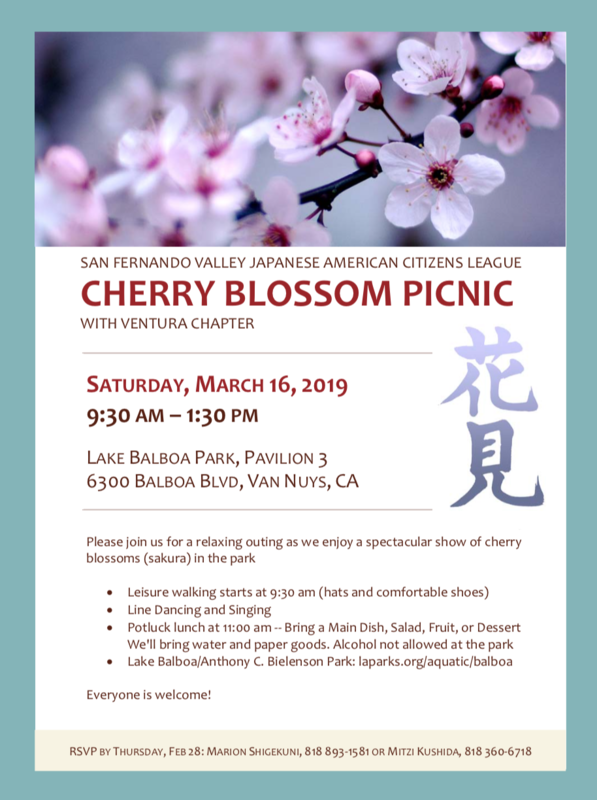 Jennifer is a fixture at the SFVHBT Obon and has also participated in several nation-wide youth retreats and seminars with the Buddhist Churches of America such as the Youth Advocacy Committee. Cheers, Jennifer! 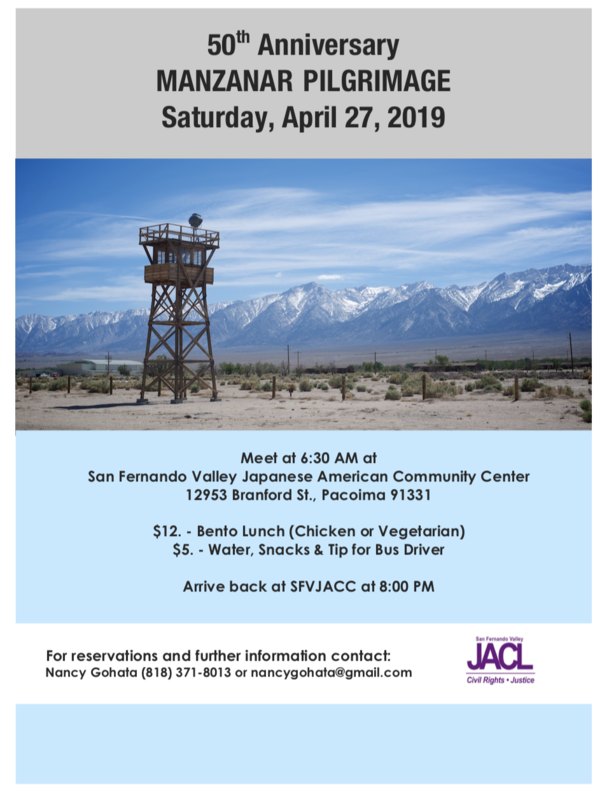 The SFVJACL was founded in 1942, and the Dr. Sanbo and Mrs. Kay Sakaguchi Scholarship supports students with interests in civil rights and social justice activism. WE NEED YOUR HELP TO SAVE RAFU SHIMPO!!! Unless Rafu gains 10,000 new subscribers to their electronic version of their newspaper, the newspaper will close at the end of this year. The LA Times reported on this crisis on the front page of the April 30th issue. 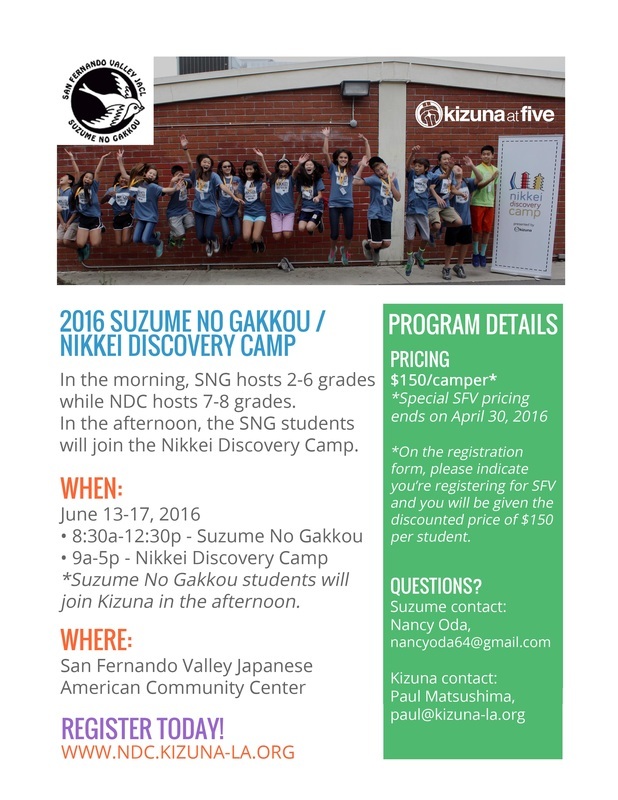 For 113 years the Rafu Shimpo has recorded the history of the Nikkei in Southern California and the United States. We need a community newspaper!! 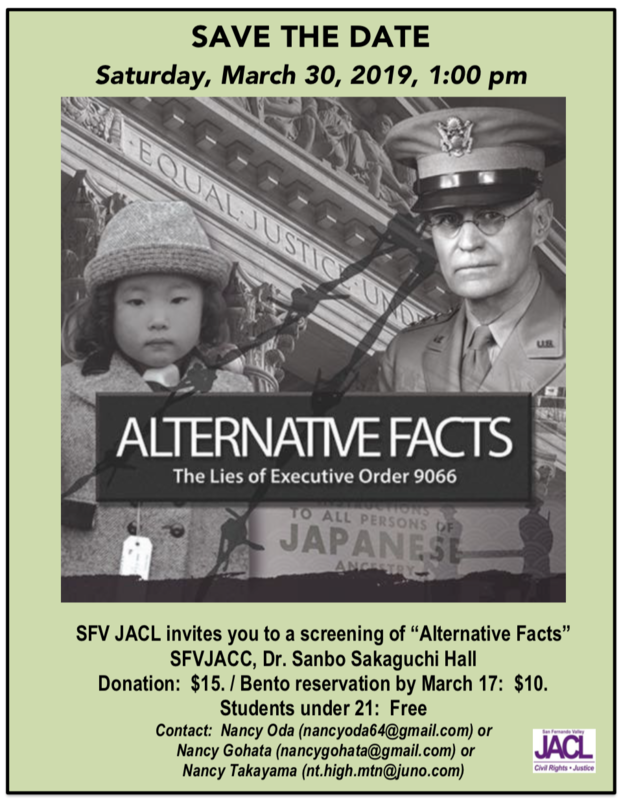 Organizations, like our JACL, will face difficulties in getting the word out for upcoming events. Business owners will feel a loss without this means of targeted advertising. We will lose our only source to JA activities and events for our children and grandchildren. Please go to rafunews.com and click on subscribe. The online subscription is only $50. Information for the printed paper is attached. Please encourage all your Nikkei friends, relatives, neighbors and make announcements at churches and other organizations, to subscribe to the Rafu. 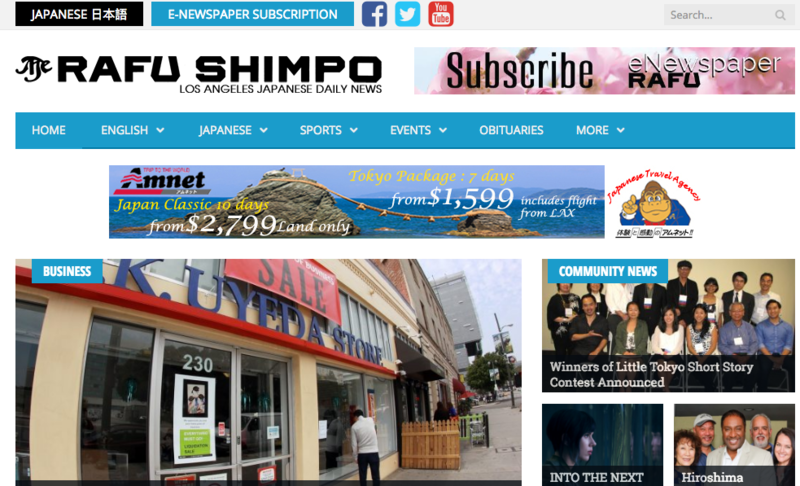 It is unthinkable that our community will no longer have Rafu Shimpo. 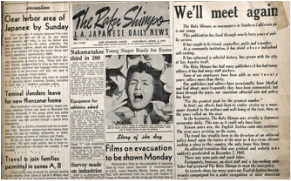 Image on left: Rafu Shimpo front page 1942, before Japanese Americans were forcibly removed from the West Coast (source, LA Times). Image on right: rafu.com in 2016. APPLY NOW FOR SFVJACL SCHOLARSHIPS!